Yesterday a couple from Brazil came, their print-out from the Cemetery website in hand, to see the tomb of Elizabeth Barrett Browning. Already, we have made a point of collecting the Sonnets from the Portuguese in many languages, for EBB herself had initially sought to disguise her authorship of them, when Robert decided they should be published, as 'Sonnets from the Bosnian'. So I brought out my IPod and Rodrigo Araes Caldas Farias read Sonnet II. Here it is, PortuguesII in an mp3 file for you to hear. And here you can listen to all the Sonnets being read in English, EBBI (with first the sonnet to Hiram Powers' Greek Slave, Hiram Powers being also buried here), EBBII, EBBIII, EBBIV. Our Belgian scholar, Nic Peeters, working on John Roddam Spencer Stanhope, who sculpted his daughter Mary's tomb which is here, was ecstatic at the beauty of the Sonnet read by that voice, in that language. by EBB's and by Arthur Hugh Clough's. On the Giardino Torrigiani click here to see this magical garden in Florence, on the other side of the Arno, from which many of our plants had come in the nineteenth century. And imagine to yourself, Isa Blagden, Walter Savage Landor, Elizabeth Barrett Browning, Robert Browning, young Pen, all walking there under the coolness of its trees. That was in July. It is now August 8, a day when the rain has been non-stop and I have been cleaning out drains clogged with cypress needles, and our only visitors a couple from New Zealand, he a Maori and descended from a Maori chief who signed the treaty with the White men. I mentioned to Peter Neville about the names of the Polynesians coming over in boats and he said he knew his genealogy and could recite it in Maori. So out came the IPod again and we recorded this account. Then, with the incessant rain, he gave us a poem by a Maori friend. He described him as a character, keeping his hearing aids in his pocket. Peter and I both wear hearing aids. Peter Neville also walks with a red and white cane. How honoured Florence is with our visitors. In October our Swiss-owned so-called 'English' Cemetery shall be 180 years old and we are celebrating, celebrating all those buried here, but in particular the members of the Savage Landor family, as we have already celebrated EBB and Arthur Hugh Clough, having restored their tombs last year. A son and a grandson of Walter Savage Landor, also named Walter Savage Landor, and A. Henry Savage Landor, are no longer allowed to rest in peace in their family chapel in the Porte Sante Cemetery at San Miniato, so we are bringing them here to lay their bones at the feet of their statue of their mother and grandmother, Julia Savage Landor. Likewise another Landor descendant will have his ashes laid here. 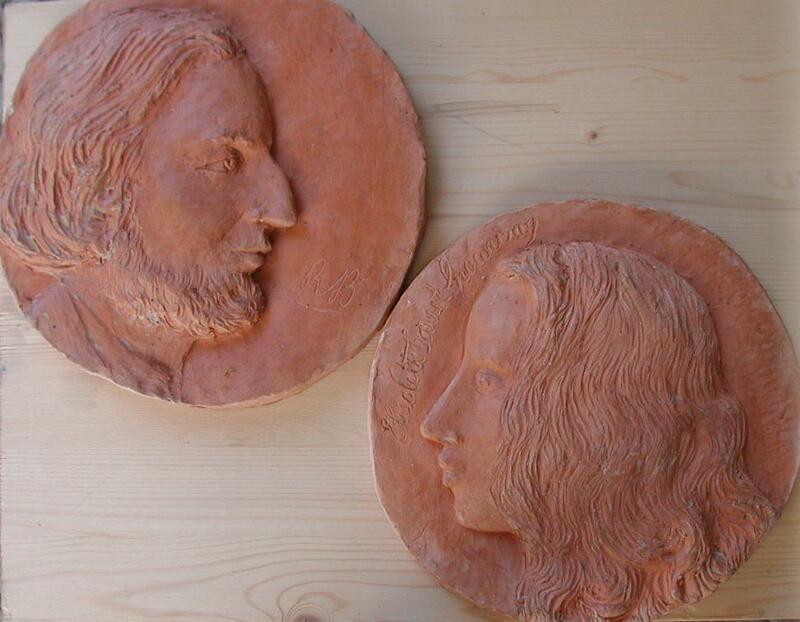 I should be most grateful for help with the funds for the following, a hand-cast bell at 200 euro to place on the wall inside the Cemetery to ring when closing it, funds to pay for mounting this and the two tondos of portraits of Elizabeth Barrett and Robert Browning made by Amalia Ciardi Duprè, and funds to help with buying the plot for the Landor son and grandson's remains by Julia Savage Landor's statue. 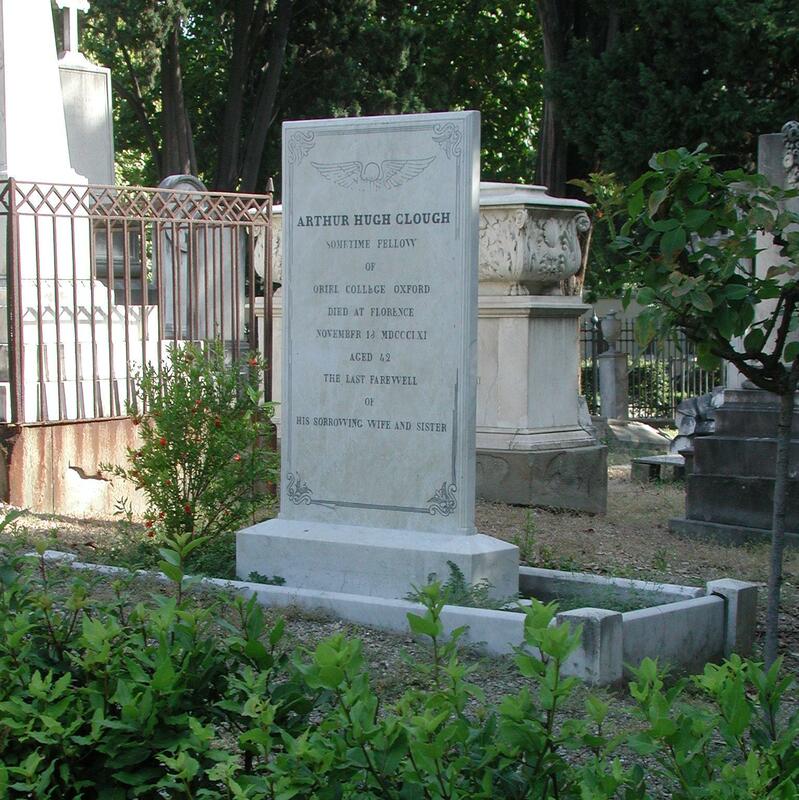 'That the Swiss-owned, so-called 'English' Cemetery in Florence be kept open, be restored and be declared a UNESCO World Heritage Site', and with 3572 signatures in-house from our visitors, for a total of 4955 signatures. We have decided to keep them coming. 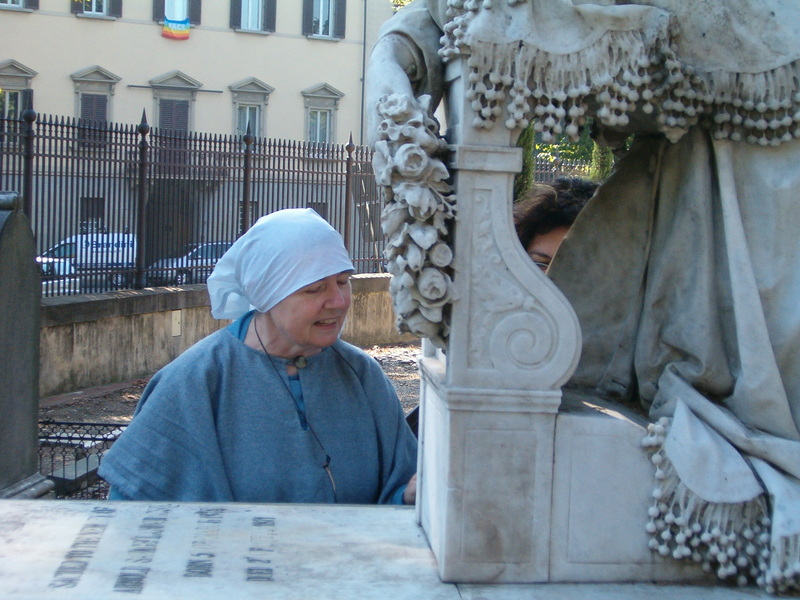 If you wish to donate to the Aureo Anello Association for the restoration of the 'English' Cemetery you can do so by a cheque made out to 'Aureo Anello' and posted to 'English' Cemetery, Piazzale Donatello 38, 50132 Florence, Italy; or through the Pay Pal 'Donate' button below, which can also be used for the CDs, for the hand-bound limited edition books or for the sculptures of Elizabeth and Robert's 'Clasped Hands' or tondos with their portraits (Amalia Ciardi Duprè's sculpture can also be found here), or some or all of these.